Today we are in Richard's Bay, still South Africa. Richards Bay is home to a vast population of aquatic birds and is where hunter John Dunn shot the longest crocodile ever recorded in South Africa, a whopping 22 feet. We were on a waiting list for another game drive, in Hluhwwe, pronounced Shoo shoo we. We did get on so we chose to go to St. Lucia Wetland Nature Reserve and we were happy that we did as we finished our big Five sighting when we we saw a buffalo standing on the edge of the water. This was a boat trip and the island is home to 526 different bird species. I recorded the sighting of Scooter Herons, Egerts (like our Fl ones), Cape and Red Cormorants, Swallows, Swifts, Giant Kingfisher, Pied Kingfisher, African Fish Eagle and my favorite, the African Jakarta, called the Jesus bird because it's feet are very large and they can actually walk on water. The African Fish Eagle has only one mate and if the mate dies it stops feeding and also dies. Greater love has no one!!!! 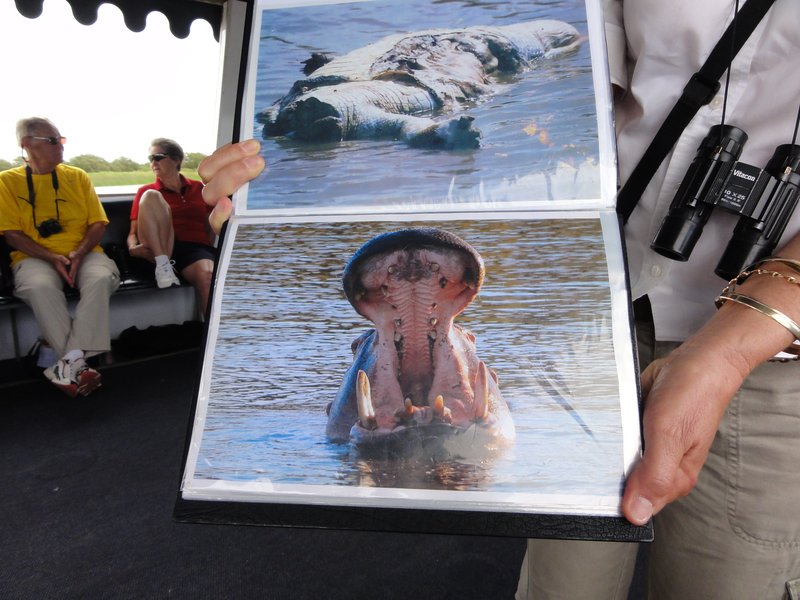 We also saw crocodiles and more hippos. This time we learned some new facts. Hippos give birth in the water in the reeds. If the baby is male, the mother has to stay there, venturing out only occasionally until the baby is old enough time to fend for it's self. If taken back to the pod the father, the dominant make will kill his own child. A baby hippo weights two tons at birth. If we are not careful we may resemble a baby hippos before we get off this ship. A hippo can hold it's breath for six minutes and can run 25 miles an hour. They are very nervous when out of the water. They stay in the water all day and come out at dusk and feed during the night. If they encounter people while feeding they immediately charge. I think I have said before that they kill more people than any other animal. 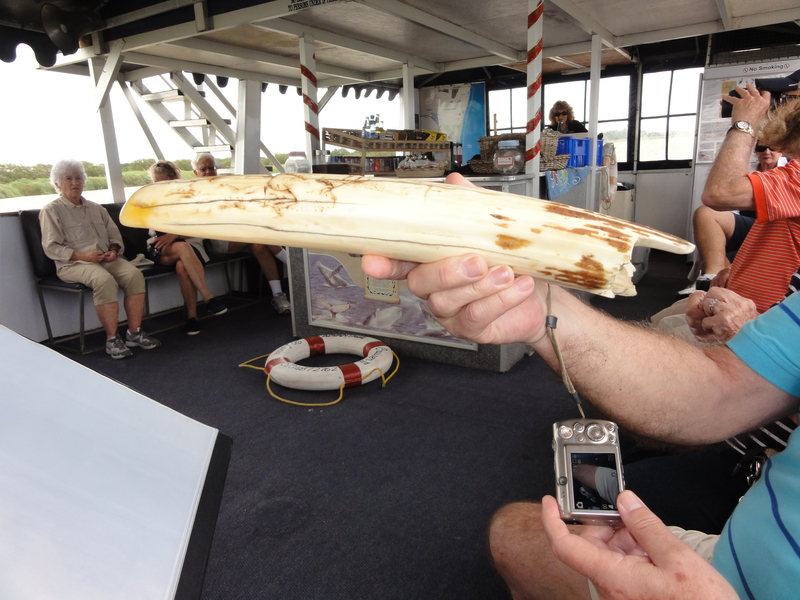 The boat captain had a hippo tooth. Wow is that a big ivory tooth. It is as large as some elephant tusks. This, too, was a great day and we are happy that we chose this trip because it was our last chance to see the buffalo. Mozambique! Maputo is the capital and the largest city and is a port on the Indian Ocean. Maputo is a melting pot of several cultures, with a strong South African influence. The Bantu and Portuguese cultures dominate but the Arab, Indian and Chinese cultures is also felt. The most important landmarks are the Fort of Nossa Senhora da Conceiao as well as the Central Railway Station, an enormous structure which looks more like a palace for Kings. There is also an iron house designed by Eiffle , the designer of the Eiffle Tower, that was built in France and sent here in sections when the French were in control. No one ever lived in it. Can you gone living in a steel house in the subtropics??? What were they thinking?? We had a real treat here. A former student, Cindy , has been living here and is working as a liaison from the University of Minnesota with the Mozambique Department of Agriculture. She met us at the port with a brand new van and a driver and gave us a resident's view of the city. We saw the Cathedral, the Fort, the Train Station, the Parque (park) Tundero, had a walk through the central market with it's huge display of exotic vegetables, fish, mud crabs and other items too numerous to mention. The mud crabs are interesting. They bring them in big tubs filled with mud and they are sold with a nice helping of mud. We passed by the wealthy section and President's house as well as most of the Embassys. The Polana Hotel is the best hotel there and it looked very good. Cindy took us to a local restaurant for one of the tastiest meals I have had in a long time. Seafood is abundant here and the major influence is Portuguese. The Portuguese really know how to cook seafood. We had peri-peri prawns (shrimp), fabulous Portuguese vegetables which were a medley of potatoes, cabbage and I forget the others. The peri-peri shrimp were delicious. Peri-peri is a Portuguese spice that is pretty spicy. Portuguese is the official language here and for me it was much easier to understand than the Portuguese in Portugal. My Spanish was also understood. 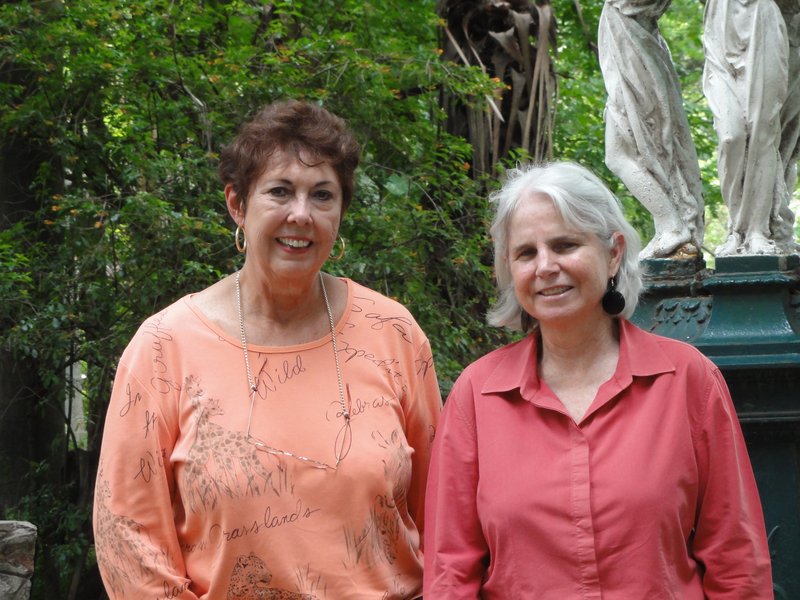 It was a fabulous day with Cindy. I am very proud of her, although I can take no credit for her success. I do hope that being in my Spanish class inspired her a little. She has her doctorate in Food and Resource Economics, not the exact title. She has worked in many countries in Africa helping countries develop agricultural products. Cindy speaks several languages and is a very interesting person. Cindy dropped us off just as the sky opened and it poured. We arrived back at the ship looking like drowned rats......but it was worth it. We had a great day. Thank you, Cindy.